We’re going all the way Mediterranean! Sorry, let us rephrase that, we’re going all the way Majorcan! As you already know, we like to show you not only the best about Palma in our Palma Guide, but also the best about everything this beautiful island has to offer. Going to the beach is ALWAYS a good plan. We’re really Mediterranean when it comes down to sun, sea & sand. We love it! That’s exactly why we’ve been spending tons of time exploring the best beaches only to do research and offer you the best tips… just work, guys! 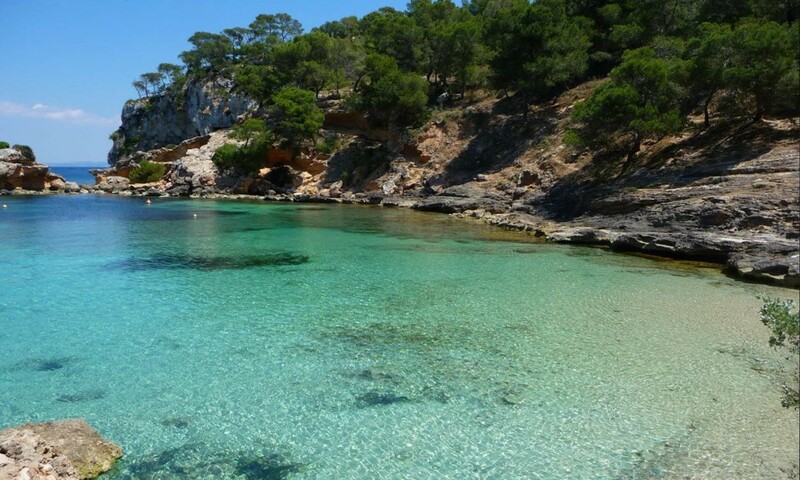 And here goes our selection of the best beaches in Mallorca’s West. Cala Tuent is located in the most beautiful natural surroundings with a view of the highest mountain in Mallorca, Puig Major. 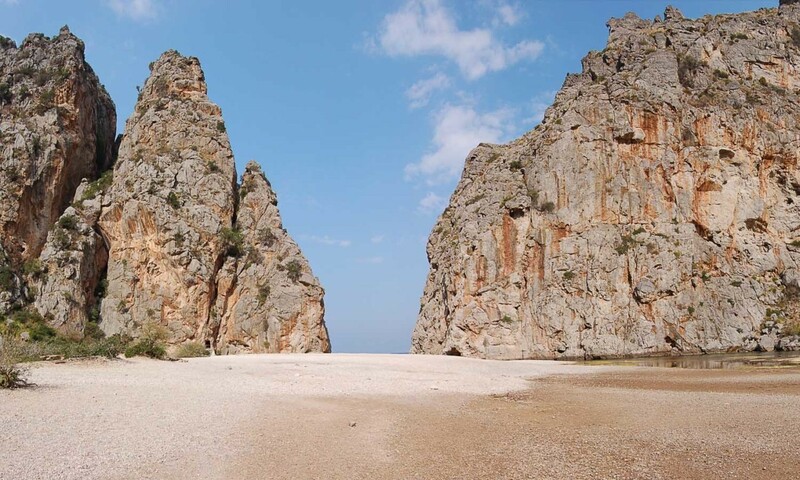 With about 100 metres of length it’s not a large beach, but is definitely worth a visit, as mountains surround it. There are no facilities at all at the beach, which makes it more of an adult-beach. 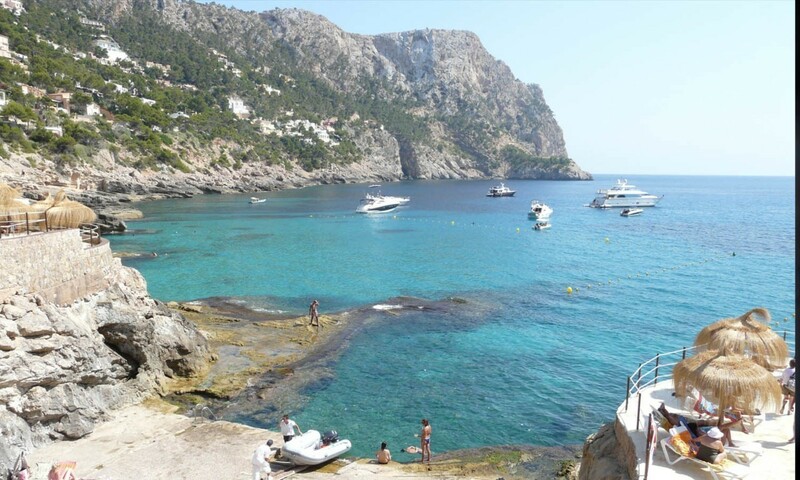 Sa Calobra is a breath-taking set of two beaches tucked in among steep rocky cliffs and divided by the Torrent de Pareis. It is really difficult to reach, but once you’re there you will see and feel the Mediterranean just like it is: immense and stunning. With crystal clear waters, this calm beach is most easily reached by boat, but you can also walk after parking near by. 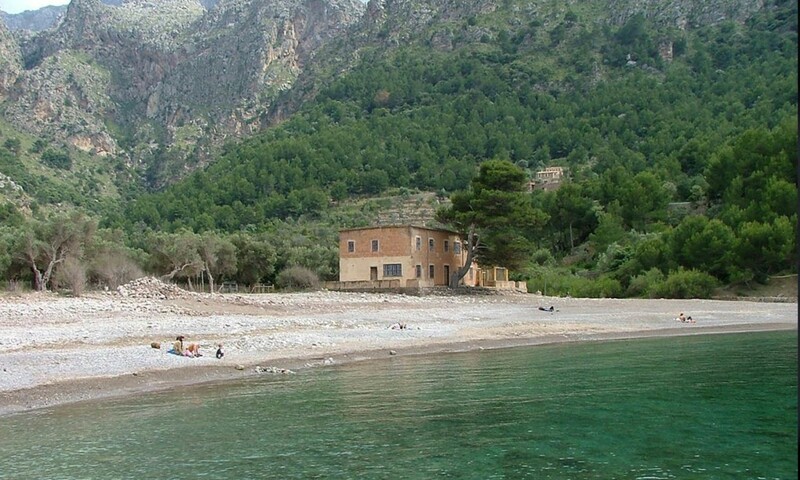 During summer months there are some restaurants at Cala Sa Calobra for you to take a lunch break! Near from Port de Andratx, one of Mallorca’s most well known harbours, Cala Llamp is famous for offering one of the most stunning views in Mallorca. 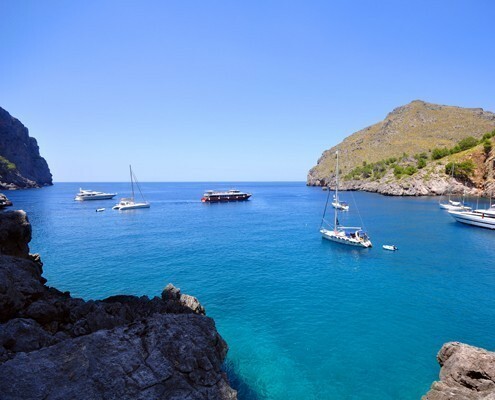 The Tramuntana mountains create high cliffs all around, forming a crescent bay with calm, beautifully clear water. There is no sand or beach, but the bay itself has a few sunbathing options on the flat stone terraces! Last but not least, we have to visit one of our favourites coves on the island: El Mago. This small (nudist) beach offers beautiful and transparent waters. It can be reached by car or by boat and it has stunning views, but gets really busy during Summer months.